As an employee, you should know that the company you work for has multiple policies and procedures that everyone has to follow. The reason for this is to ensure that the company remains stable by making certain that everyone in the company understands and applies all of these policies during work. However, who comes up with these policies? The answer to that would be those who are in charge of Human Resources. People in Human Resources are tasked with the responsibility of looking out for what’s best for everyone in the company and making sure that all people find the policies agreeable and fair. What are human resource policies? Human resource policies are the rules and guidelines that businesses create and apply when hiring, firing, training, and assessing the members of their workforce. What these policies can do is prevent any sort of misunderstanding between employees and employers with regard to their rights and obligations in the workplace. There are a lot of business analysts and employment lawyers who suggest that business owners place all of these policies on paper. The reason as to why these policies must be written on paper is to ensure that everyone understands clearly what these policies are and that they are applied consistently and fairly throughout the organization. Good communication with the employees. A well thought out and written human resource policy can establish the kind of tone that a business owner wants to set with his or her employees. It will tell these employees what they can expect from the company that they’re working for, as well as what the employer expects from the workers regarding employee performance and behavior within the workplace. Good communication with managers and supervisors. With proper policies and procedures, decisions that would benefit the company can be easily made. 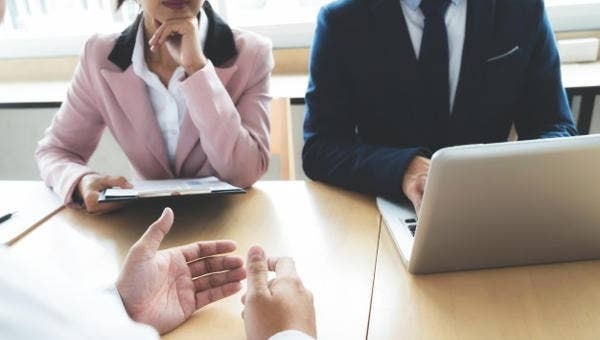 Formal policies will allow managers and supervisors to know what to do when it comes to hiring, firing, promoting, or even rewarding employees. Time saving. Human Resource policies and procedures that are easy to understand and apply are ones that can save a company a lot of time. Since a significant amount of time has been saved, these companies can use the time to focus on other things that can benefit the business instead. For example, they can now focus more on new product development, marketing analysis and campaigns, employee assessments, and much more. Curbing any sort of litigation. A lot of members from both the legal and business communities agree that organizations can cut out a lot of legal threats simply by making a fair and comprehensive set of personal policies. With well-made policies and procedures, business owners rarely have to worry about frustrated or angered current or ex-employees attempting to pursue any sort of legal case towards the company. Performance improvement. This should cover concerns regarding how an employee will be required to improve his or her performance in the event that he or she is not living up to the company’s standards. Meals and break periods. This should talk about the amount of time that an employee has when it comes to both meal and break periods, as well as when they are able to take them. Workdays, paydays, and pay advances. This should give the employee an idea of when they can expect to receive their salary, how their salary will be calculated throughout the working period, and how they are able to apply for pay advances. Payroll deductions. This is important in letting an employee know how deductions will be taken from their paycheck in the event of absences or anything else that would require a portion of their salary to be cut. Holidays. This would allow employees to understand how much they are to be paid during certain holidays, as well as telling them what holidays they may or may not be required to report to the office. Sick days and personnel leaves. Employees who may encounter illnesses or who have to take a short leave due to personal reasons may go through the company’s policies and procedures in order to properly comply with company requirements before taking time off. Performance evaluations and salary increases. This will talk about how the performance of the employee will be evaluated throughout the different working periods. This will also talk about how the employee can expect salary raises and what they have to comply with before their salary raises are final. Termination policies. This is the policy that allows all of the employees within a company to understand the reason as to why one is being terminated. This will help prevent any misunderstandings and possibly even feelings of anger and frustration. As said before, policies and procedures are needed in a business, and those who make sure that they’re followed can ensure that the success of the business is almost guaranteed. So if you would like to learn more about them and those who work in the Human Resource department, then you may view our other articles on this topic.